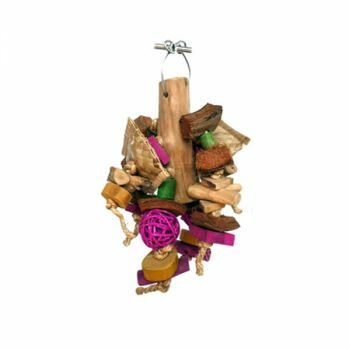 Large chunky monster has a lot of different textures for your bird to enjoy, including java wood, wicker balls, coconut husk chunks, sisal rope and woven palm pockets full of natural shreddable material. Great for shredders and chewers! Notify me when Lg Chunky Monster-AE Java Wood is in stock.